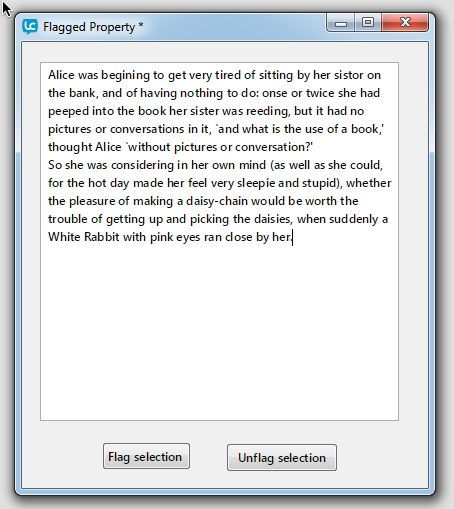 The flagged property allows you to highlight a run of characters with a red dotted underline. This is particularly useful for highlighting mistakes. Create a stack and add a field, name the field "display". 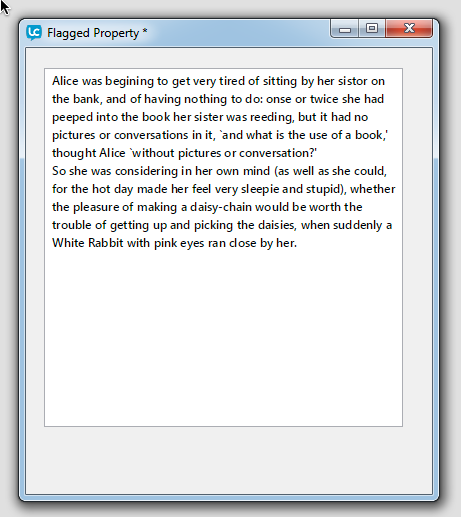 Add some text to the field, in this example I have used the first paragraph of Alice in Wonderland, and have deliberately misspelled some of the words. 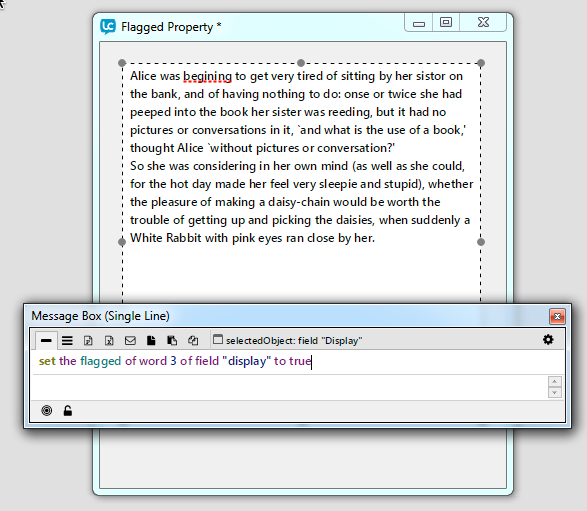 You can use a chunk expression to flag any piece of text. Now if you close the stack and open it again, the first line will be flagged. You can also flag, or unflag the current selection using the selectedChunk function. Add two buttons to the stack, one to flag the selection and one to unflag the selection. Now highlight a piece of text and click the "Flag Selection" button. Next: How do I style paragraphs in a field?